Free beginners guide for planting a vegetable garden. Sign up to get planting reminders for your area as well. 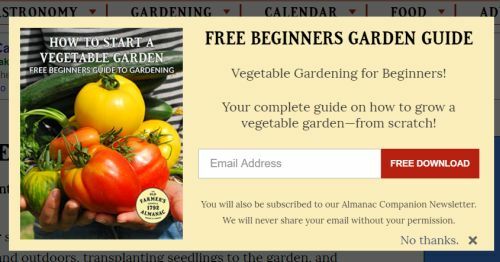 Click the link below to go to the Farmer Almanac website to get further information.